We believe that education is one of the most important investments in the world. Education has proven to be foundational for health and wellness, economic development, careers, and so much more across countries, cultures, and ethnicities. Our awards of recognition tell us we are doing an amazing job, which means a lot to us as this inspires us to keep pushing boundaries as we continue to look for new ways to support teachers and students. MindFuel’s Cool Career videos (produced by Jump Studios) picked up a 2016 silver Davey Award. W3 Gold Award– General Website Category – Children. Wonderville was voted best children’s website for 2016. The Summer 2016 Academics’ Choice Smart Media Award recognizes leadership and educational quality, reserved for the best mind-building media and toys on the market. Wonderville.org was recognized as a dynamic space for STEM learning. 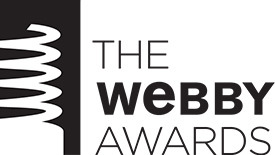 The Webby Awards are the leading international awards honouring excellence on the internet. The Webby’s have a long history of recognizing the best of the best on the internet. MindFuel’s Wonderville has been recognized for three Webby awards. 2011 Winner best animation: “Do you know what nano means? Digital Alberta Awards recognize leaders in innovation, technology and evolving the digital media sector in Alberta. Wonderville was recognized with two awards for exemplary learning assets.